Each December, many scrupulous Christians gear up for the new year by thinking about how they will spend time in God’s word in the coming year. For many, myself included, this is a time of self-doubt and disappointment. Thinking back on the previous year, it becomes apparent that our goal for reading the Bible all the way through crashed on the rocks of 1 Chronicles 1-9 or petered out in Acts 11. Yet, with a new year comes a renewed sense of hope and the prospect that this year we will finish the course. Thus, there are many extensive plans out there. And truly, there are many good and biblical reasons to adopt one of them–just ask John Piper. Yet, with such an admonition comes a perilous danger–the promotion of self-sustained discipline that puffs up the strong and deflates the weak. 1. Find a good translation. Choose a translation of the Bible that is faithful to the text and accessible to you. The New International Version is a good place to start if you have never read the Bible before. Although, beware, if you have the new updated version of the NIV, you have an edition with some gender neutral translations–see Denny Burk’s CBMW article for more information. Likewise, beware of paraphrases like the Message. They are more like a commentary on the Bible than Scripture itself. Still, the revised New Living Translation is paraphrase that does correspond with the original Greek and Hebrew. For me, I have been sold on the English Standard Version since Wayne Grudem handed out a free copy in class (circa 2003). Seriously, it is a readable translation that translates the original languages word for word. See Kevin DeYoung‘s little book for why your church should adopt this translation. 2. Use a Bible reading plan. There is no right way to read the Bible–provided you read it to behold the beauty of God in the person and work of Jesus Christ. Some people do better reading Morning and Evening. Others once a day. For some younger believers a single chapter a day would be growth in grace; for seasoned saints one chapter is not enough; and for seminarians it may be that a few verses slowly digested offset the lengthy reading required in class. Whatever the case, find a plan and stick to it. We never drift into spiritual disciplines. Discipline yourself to read your Bible by finding a good plan sticking with it. (This year, I am going to follow the “Bible Eater” by Trent Hunter. The name makes me think of a mythopoetic monster and may seem a little silly, but the language flows straight from Scripture (Ezek 2:8ff; Matt 4:4). This plan includes 2 OT chapters and 1 NT chapter a day, plus 6 “extended reading days,” with plenty of catch up days each month. Justin Taylor has also provided a number of helpful Bible reading plans). 3. Write in your Bible. When I first read the Bible, I NEVER wrote in it. I venerated my manufactured copy as much as the stones Moses inscribed and put in the tabernacle. Somewhere in that first year though, I acquired a gold-colored pen. It was the perfect gilded ink to underline in my Bible. Since then, I have marked up innumerable Bible’s. Cross-references, sermon notes, key verses and words, all get marked in the margins. What I failed to understand at the beginning of my Bible reading was that the purpose of my Bible is not for me to look spiritual carrying down the church hall, or to feel good that I have multiple versions; the purpose of Bible reading is to get God’s printed word into my heart (cf Ps 119:9, 11). Thus, pick up your Bible and your pen. You will be a much more attentive reader and the notes will help you later understand God’s word better. 4. Know where to go when you don’t know. Inevitably, you will find passages, chapters, and even books of the Bible that make little sense. In those instances, what will you do? You can take on the belief that a time of devotion should only touch the heart and not inform the mind; or you can have a plan for finding an answer. Picking up a one-volume Bible commentary would be a good place to begin. Using a Study Bible, like the ESV Study Bible or the HCSB Study Bible, is another option. With the advent of technology, you might be able to download a couple Bible references works to your phone, iPad, or computer. Or, you could simply shoot email, text, or call a friend or pastor about it. Few things delight a pastor’s heart more than an earnest question about Gog and Magog or the other people raised to life at Jesus’ crucifixion–plus, it will make them do some research, too. 5. Preach the gospel to yourself on days you fail to read. The goal of reading your Bible daily is not reading your Bible daily; it is meeting with the living God as you hear his voice in the pages of Scripture. Thus, if you miss a day, do not feel that you have missed God. In my life, God’s grace has been most evident on days I have “failed” to have a “quiet time,” because it has forced me to trust in God’s unmerited grace, and not my religious consistency. God has called us to experience him in all of life, not just in Bible study. Thus you should not feel guilty for missing; instead you should feel desirous for the next time you spend with him. 6. Congregate. Don’t be a “Bible and me” Christian. You and your Bible are not enough. 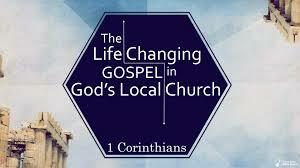 Your Bible reading should be part of a lifestyle that orbits around the life of a local body of believers. If you are weak at reading the Bible regularly, you need to be around the teaching of God’s word and the accountability and fellowship of other believers. If you are strong at Bible reading, you need to share what you have learned with others, and then invite others to read with you. Thus, in the exact same way, if you struggle to read the Bible because you don’t see its relevance and place in your life, if you would rather workout, watch TV, or twitter away on Facebook, then pray to God to have mercy on you! It may be that such a distaste for God’s word is evidence of your spiritual separation from God; but it also could be the corrosive effects of the world on your heart. Go to God in prayer, asking him to give you an unquenchable desire for God’s word. He does not turn away such requests! Man does not live on bread alone but on every word that proceeds from the mouth of God. These words of Moses (Deut 8:3) quoted by Jesus (Matt 4:4) are a good reminder that the abundance of our living in 2012 is not measured by our physical well-being, our financial gains, or even our ability to read the Bible. The abundance of our living depends solely on Christ. Reading the Bible is an essential part of abiding in him, and one that is both the fuel (we live on God’s word) and the goal (we live to know God’s Word) of our Christian living. Therefore, as you read God’s word in 2012, may our gracious God confirm the work of your hands. As you clutch his life-giving word and strive to read from cover to cover, may you be reminded that the goal is not just to master the book, but to be mastered by the Author of the book. To that end we labor together, with the strength that He supplies. It is a great article full of grace and very good advise to read the Bible and meditate on it day by day.. Thanks a lot for posting it – I have bookmarked it ! :) God bless you! Thanks, Peter. May God bless your time in his Word in 2012.